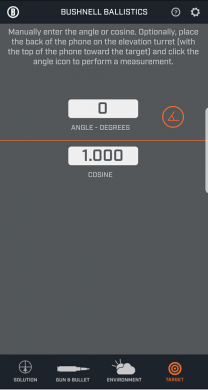 Bushnell, an industry leader in high-performance sport optics, announces the release of a new Bushnell Ballistics Calculator App powered by the proven and powerful Applied Ballistics Ultralite Engine. 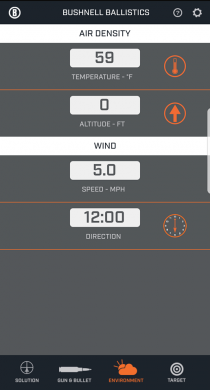 The new Bushnell Ballistics App is powered by the Applied Ballistics Ultralite engine, the most trusted ballistics data-cruncher in the industry,” said Bushnell Marketing Manager Matt Rice. 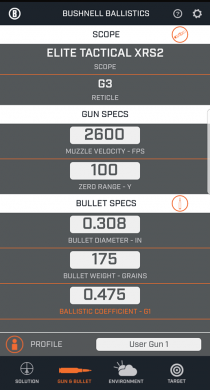 “With a clean and user-friendly interface, this app allows users to easily build and modify gun profiles and build range cards to calculate firing solutions based on their specific scope and ammunition choices. All of our Bushnell scopes and reticles have been pre-loaded, giving users simple ballistic solutions anywhere they go.